Sylacauga, AL - Funeral service for Margie Ann Carden, 75, will be Friday, April 5, 2019 at 2:00 p.m. at Radney-Smith Chapel with Pastor Mac McCaleb officiating. Burial will be in Tallasahatchie Cemetery in Alpine, AL. She was a loving mother and grandmother as well as a faithful member of Marble City Baptist Church. Mrs. Carden died Tuesday, April 2, 2019 at Coosa Valley Medical Center. She was preceded in death by husband of 44 years, Ruben A Carden, father, Odell Williams, mother, Ruby Williams, sister, Vicki Edmondson of Lineville, sister, Doris Hamlett of Birmingham, sister, Gail Benton of Birmingham, and brother, Dexter Williams of Weogufka. 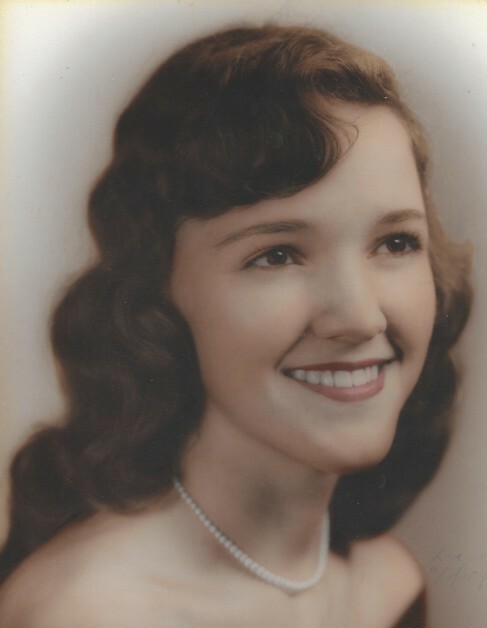 She is survived by two sons, Don (Lory) Carden of Sylacauga, Andy (Kathy) Carden of Talladega; three grandchildren, Allison Brett Carden, Meleah Carden, Mikayla Carden; three sisters, Kathy Phillips of Centreville, Maxcine (Jerry) Carpenter of Sycamore, Glenda Price of Childersburg; three brothers, Larry (Mary) Williams of Alpine, Jerry (Carolyn) Williams of Dallas, GA., and Henry (Beverly) Williams of San Jose, CA. Visitation will be Friday April 5, 2019 from 12:00 p.m. until 2:00 p.m. at Radney-Smith Funeral Home. In lieu of flowers, donations may be made to Marble City Baptist Church 1512 Quarry Rd. Sylacauga, AL 35150.